The illustrations and documents on this page are by courtesy of Ian Miller. Additional documentation by Jackie McCann. We acknowledge their contributions with thanks. In the 1911 census the entries are not at all clear. There is a mention of Heaton for both brothers and no reference to Strawberry Gardens . James Wyton senior, father of the three brothers Wiiliam, James and Frank, is living with Frank.. The first world war brought tragedy as James and Lucy’s only son Fred was killed at Ypres in 1917 and is listed in Baldwin’ Bent’s Roll of Honour. After 1920 or so the name Wyton seems to disappear from Heysham records. 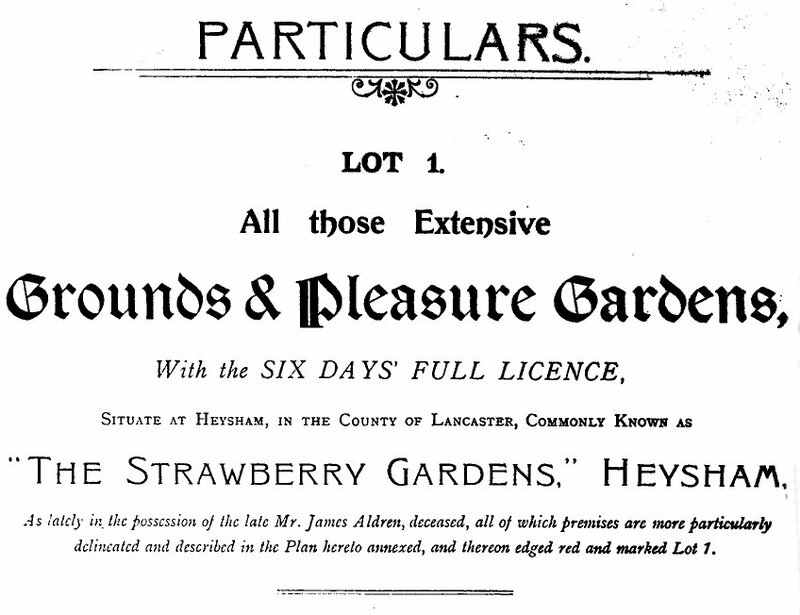 The documentation below is valuable in that it contains a good deal of detail about the property; on the Plan it is possible to make out where the different features are, the buildings and the glass houses, where the strawberry fields were laid out, and even possibly the tennis court. 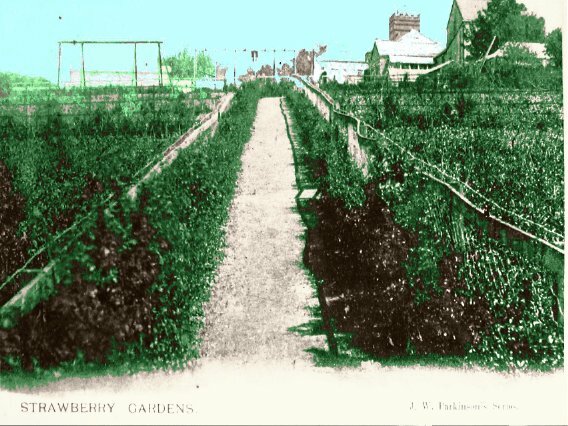 The postcard below is a view from the bottom of the strawberry field; roughly from the position where Knowlys Crescent abuts the presently named Lindale Meadow. The penultimate sentence of the details of the Particulars of Sale below shows one possible envisaged outcome of the sale, that it would become a housing estate. 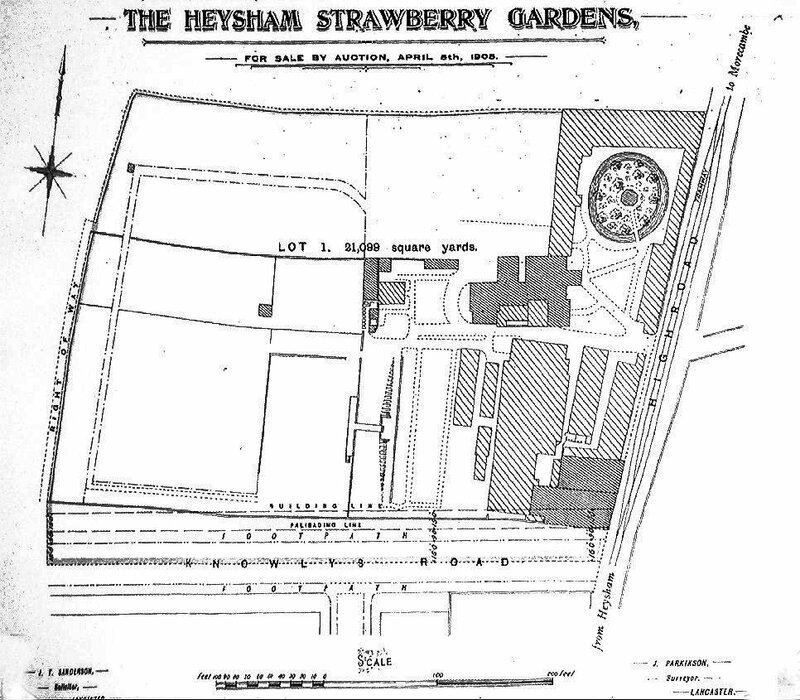 This of course did eventually happen in 1920; Most of the houses on the estate were not built until in the 1930s..
On the plan of sale (bottom left) you can see some of the buildings that constitute the present Strawberry Gardens Inn. If the entrance door on the corner of Knowlys Road is viewed from down Knowlys Road it would appear that the ‘building’ line’ on the plan has never been enforced. The right of way on the left of the plan was to provide access to various fields from the village, long before Knowlys Road was constructed. 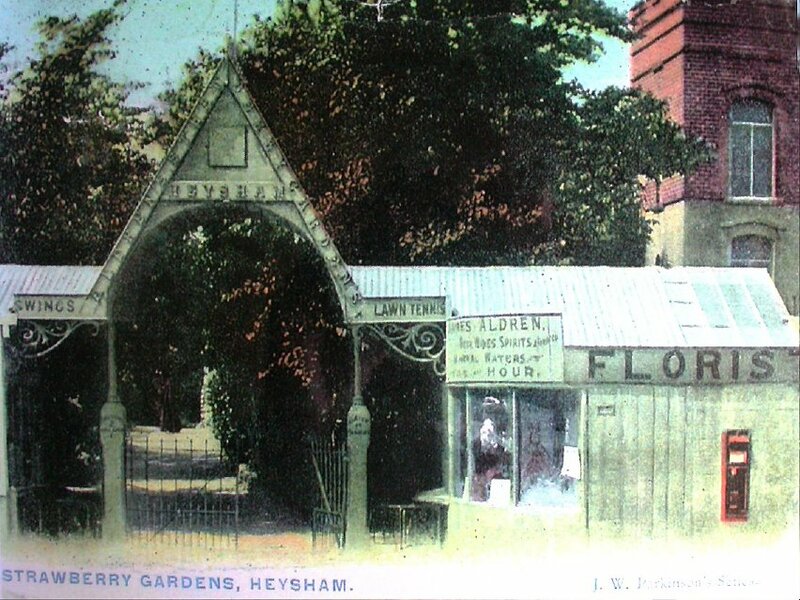 The path from the village would have been roughly at the bottom of the north embankment of the present Knowlys Road.